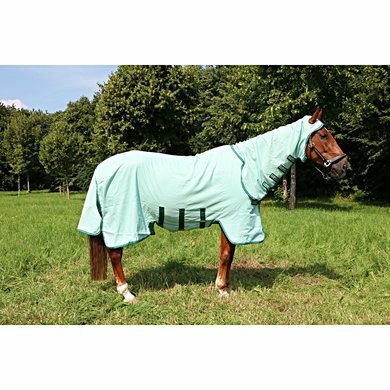 The Rambo Sweet Itch Hoody is a fly / eczema blanket made from strong, durable 1000D breathable polyester to ward off the smallest flies / mosquitoes. In addition, the blanket is UV-resistant. 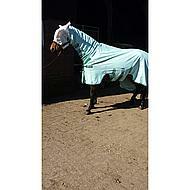 This blanket comes complete with fixed neck and ear cutouts and can make a contribution for ponies with summer eczema. 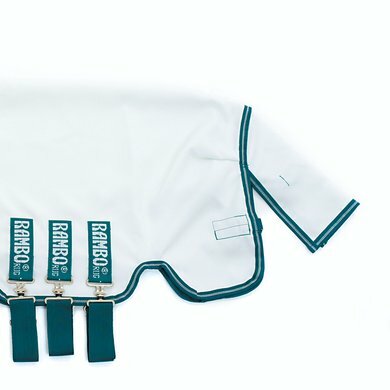 The blanket features a V-Front closure on the chest, velcro straps on the neck, three webbing under the abdomen, a leg strap and an extra long tail flap and sides. 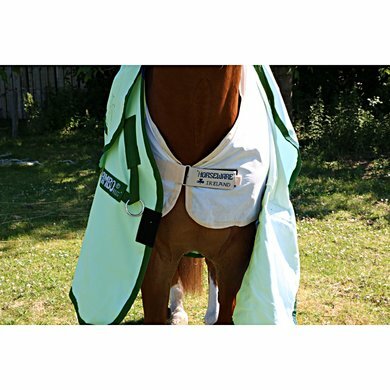 The blanket can be made waterproof on the back with the Horseware Fly Rug Liner, which is available separately. 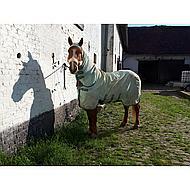 2 blankets bought in the largest size, they are used with farm horses that just as well roll and run in the meadow. Super strong blanket! I adjusted the head cap a bit because it was too small. The blanket is not that cheap but it is more than worth the money! Nice sturdy blanket that lasts. It would definitely come again if it is worn out. Super nice good blanket !! Fits perfectly does not go down very satisfied !! And she doesn't sand anymore because of this blanket !! Question: What is the difference between the "rambo sweet itch hoody ice green" and the "Rambo Sweet Itch Hoody Vamoose Baby Blue"? Answer: The vamoose version has a substance in the fabric processed with an anti-insect technology. Question: I have a South German draft horse, mostly blankets in Gr. 155 carries. For eczema covers (except Busse Strong) he needs 165, because of its width. What size do you recommend to me here`? Answer: Rambo blankets are generally cut slightly larger, even for horses with wider breasts. 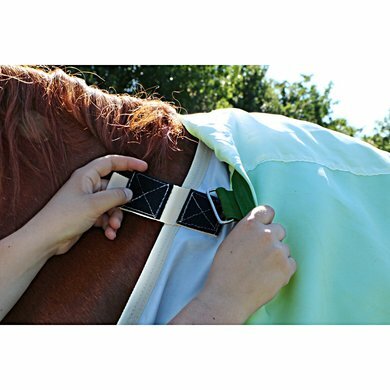 We recommend that you also measure the undersize of your horse once and possibly also order 2 sizes (155 and 160). 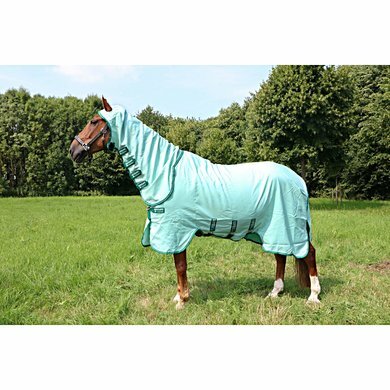 Answer: This blanket comes with fly mask. 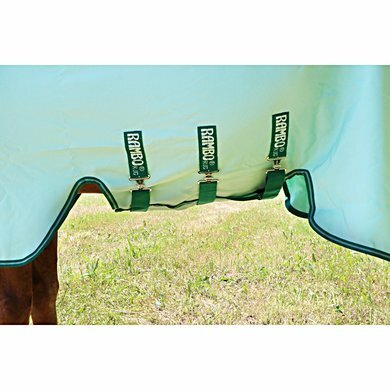 Question: can the rambo fly back liner underneath this lining under the liner system? Answer: this blanket does indeed use a linersystem. Question: What size of blanket do I need for a 163-year-old horse? A frieze. Answer: This is the bottom length of the blanket. Question: How can I take the correct size? Question: I have a shetland with normal size 85/120 now that size is never available would the 130 be too big? Question: Which size corresponds to the 6.9 and a 7.0? Question: Which size can I use for a very strong Haflinger? Height at withers with a fairly firm neck on it. 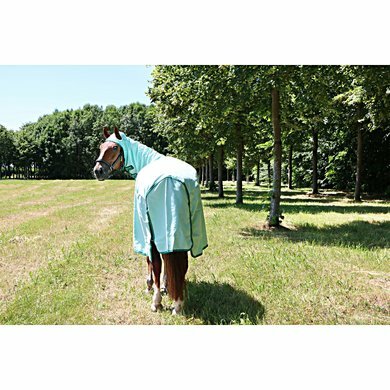 Question: I am looking for a good, sturdy (state with group on the land) flying blanket that can also lie outside with extreme heat without our horse overheating. 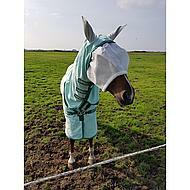 Now I was thinking about the Rambo Sweetitch Hoody but our horse does not have any exeem. Tips? Question: We have a rambo blanket from the past, but can not read the size in the label, it measures 160cm from withers to the beginning of the tail flap, which size would this be? Answer: Then you should order size 215. 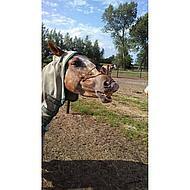 Question: my horse has size 198 of rambo winter blanket this size is not listed. Answer: Then you need size 195. Answer: This is the size 175cm. Question: How do I know which size I should have (for a hefty Icelandic) .. ?? Question: Which size corresponds to the 6.3 inch? Answer: This is size 140/191. Or, in other words, size 190. Question: Do you also have the rain liner that fits underneath? Answer: This waterproof liner can be used under the sweetich. 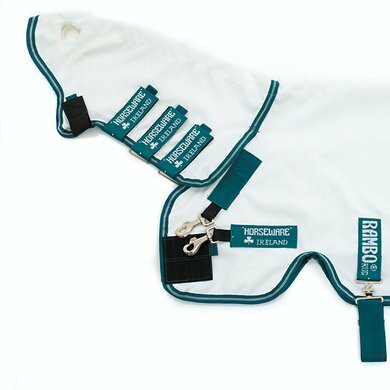 https://www.agradi.nl/horseware-fly-rug-liner-135.htm You should order the same size if you have the outer blanket. Note, this can get very hot with hot days so you would not be able to do anything better. Question: Have a bucas blanket are satisfied only I worry if it rains hard the blanket is soaking wet and so the coat too and am afraid that they are all day with a wet blanket and am afraid they will get sick. Is that also the case with the Rambo blanket? Answer: This is also true with this blanket, because this blanket is not waterproof. However, with this blanket you can do a waterproof liner under the blanket so that the back remains dry. Below you see the waterproof liner. 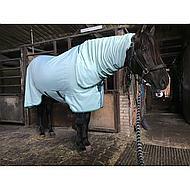 https://www.agradi.nl/horseware-fly-rug-liner-135.htm Please note, the liner makes the blanket warmer and the horse may get too hot on hot days. 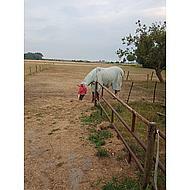 It is not bad when the horse rains wet during warm days, this often dries quickly due to the sun. Answer: This is indeed as stated in the text with free fly mask delivered. Question: to what extent is the bottom of the abdomen protected against mosquitoes compared to the eczema covers with belly flap? Answer: This blanket has no belly flap. 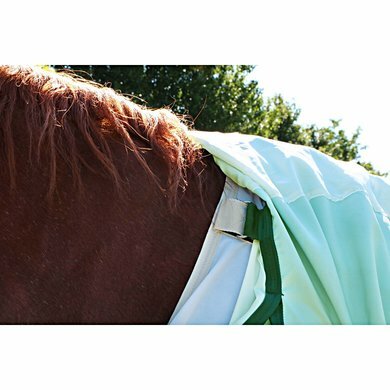 The sides of the blanket are a little longer so that the belly is protected when the girths are stuck.